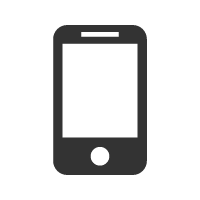 How To Make Your WordPress Website Mobile Friendly? WPTouch comes in two versions: free and premium. The plugin gets rid of your existing desktop theme, and displays all of your content on a mobile friendly theme. The good thing about the plugin is that your site will be easy to read, however, the design of the included theme is almost elementary. This plugin is a little more in-depth than WPTouch. It gives you the ability to customize different aspects of your mobile site like its color scheme. It also allows you to edit posts and create content, however this feature might be redundant because it is also available in the native WordPress Android and iOS apps. Jetpack is a common plugin that provides your WordPress site with tools and options from WordPress.com. The plugin can also be used to create a clean, fast, and simple mobile theme. The good thing about this plugin is that it gives you the ability to add custom backgrounds or headers to the mobile version of your site! With a bit of coding knowledge, you can customize your theme even further! MobilePress is a simple, free plugin that switches your WordPress blog into a mobile friendly blog when it is viewed on any mobile device. MobilePress also allows you to create different themes for different devices, including the iPhone, and Windows Mobile! This plugin, by Crowd favorite, shows an interface that is designed for mobile devices, so when visitors visit your site via mobile they are automatically met with the mobile interface! From Twenty Eleven and up, WordPress’ signature theme allows users to create a simple yet responsive mobile theme. While the features aren’t ridiculously in depth, the Twenty series of themes is enough for many WordPress site owners! The Scherzo theme is a bit minimalistic, but if you are looking for a mobile-first theme, then look no further. The only problem with this theme is that the desktop version of your site may lack the “wow” factor you are looking for. For those of you with e-Commerce sites, Jigoshop will help you bring your store to the mobile market! The theme serves as theme and plugin, and its full e-Commerce focus allows you to make the best responsive mobile site that you can! If you are a web developer and are thinking of creating a mobile theme from scratch, there are a few things you want to look out for. First of all, you need to know the dimensions of all the popular mobile devices. Themes that are designed without any consideration for different screen sizes run into a lot of problems. Have you ever been on a mobile site, and all of the text was super tiny, and the site just didn’t look like it could fit on your mobile screen? This is because the site didn’t meet the dimensions it was supposed to. By making sure your site is the right size, you know that it won’t end up looking scrunched on those smaller screens. You will also want to simplify your site. If your menu has a ton of different pages on it, maybe eliminate, or combine some of them, when you take this over to the mobile version. Mobile sites look best when they are simple, with big text. This is what you should be aiming for. If your home page has a ton of text, don’t bring it over to the mobile theme! You want your home mobile page to have big links, and big pictures. When people follow the links, then they will find the in depth content inside of your site. Make the home screen look great on mobile devices. Whether you are using plugins or responsive themes making your WordPress site mobile friendly can have a large amount of benefits. The mobile world is huge, and getting you site into that market is very important. There are many ways on how to make your WordPress website mobile friendly, so find the strategies that work best for your needs!